SKU: B01354KTGC. Category: Yoga Mats. Tag: Yoga Mats. 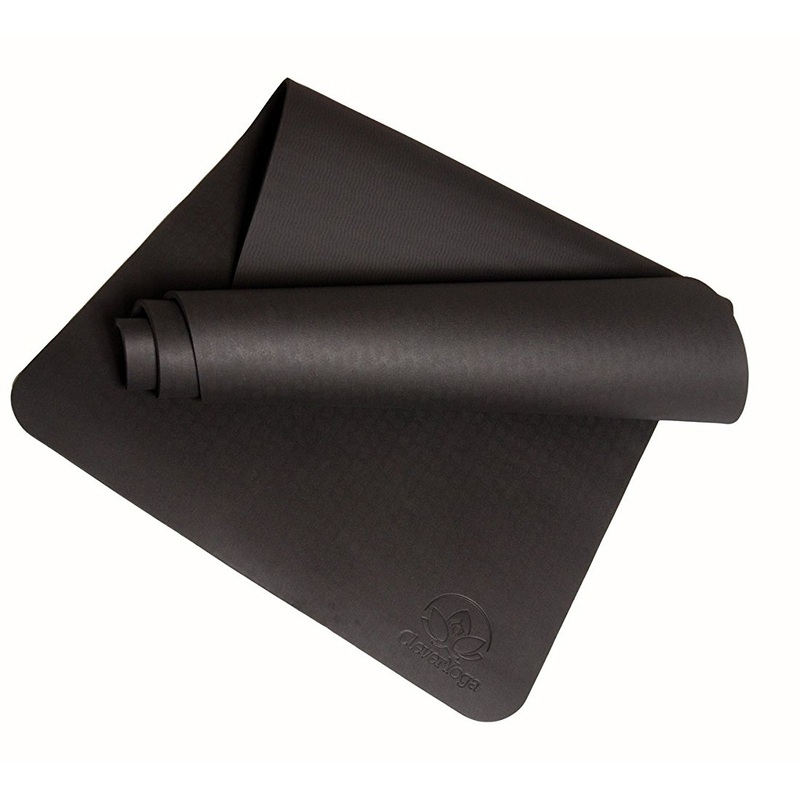 Give this Eco-friendly Clever Yoga mat a try. You will notice it is super lightweight and portable at only 2 pounds with ultra cushion and thickness (1/4″). 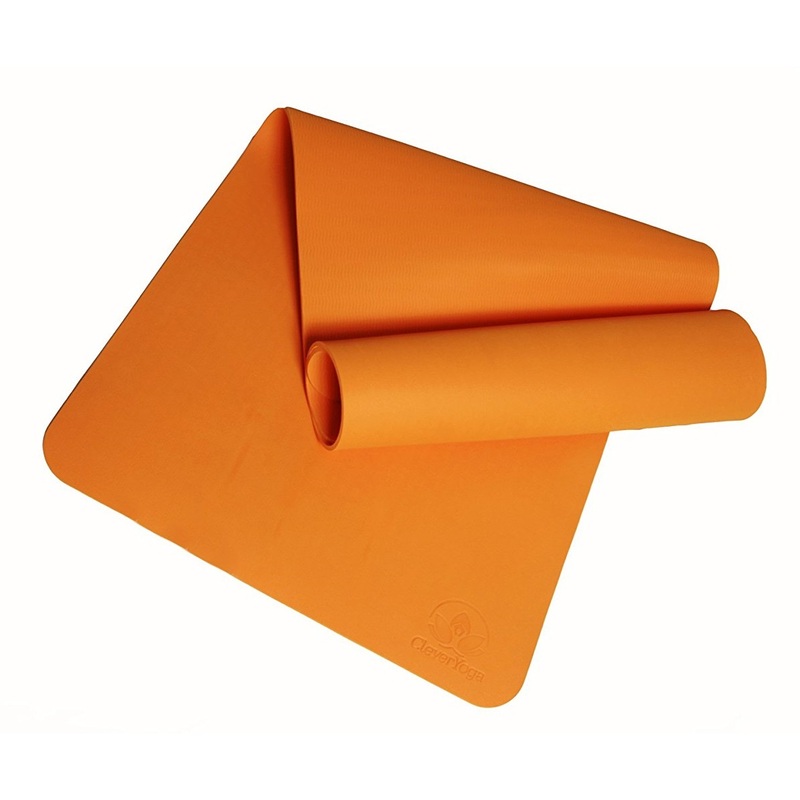 This mat is easy on your knees and elbows while you practice yoga, Pilates or other mat exercises. The moisture resistant technology provides you with a water-proof surface and closed-cell construction. Therefore, moisture and germs are prevented from being absorbed into the mat. Your mat will not be stinky after your sweaty yoga practice. Just wipe it clean with a wet soft cloth or just hose off the sweat. 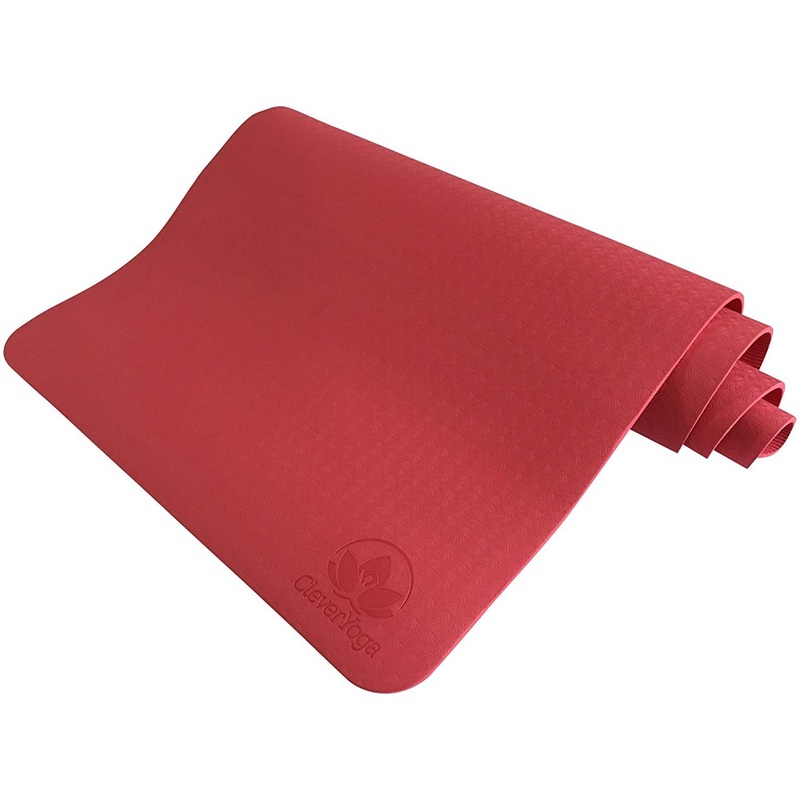 Your Clever Yoga yoga mat is made from premium 100% recyclable and Eco-friendly TPE material which is UV resistant, odor-less, and free from PVC, phthalates, silicone, latex, and other toxic materials. You know you are safe to practice on it with a peace of mind. With extra thick, high density padding, you will experience exceptional resilience by feeling the mat’s thick, durable cushion under your joints. No need to double up your mat! The comfort foam provides ¼” thickness (6mm), weighs just 2lbs and is 72” long x 25 1/4” wide. Perfect for both short and tall folks. Our mat is 100% recyclable, biodegradable, and made of odor-less, UV resistant TPE material. 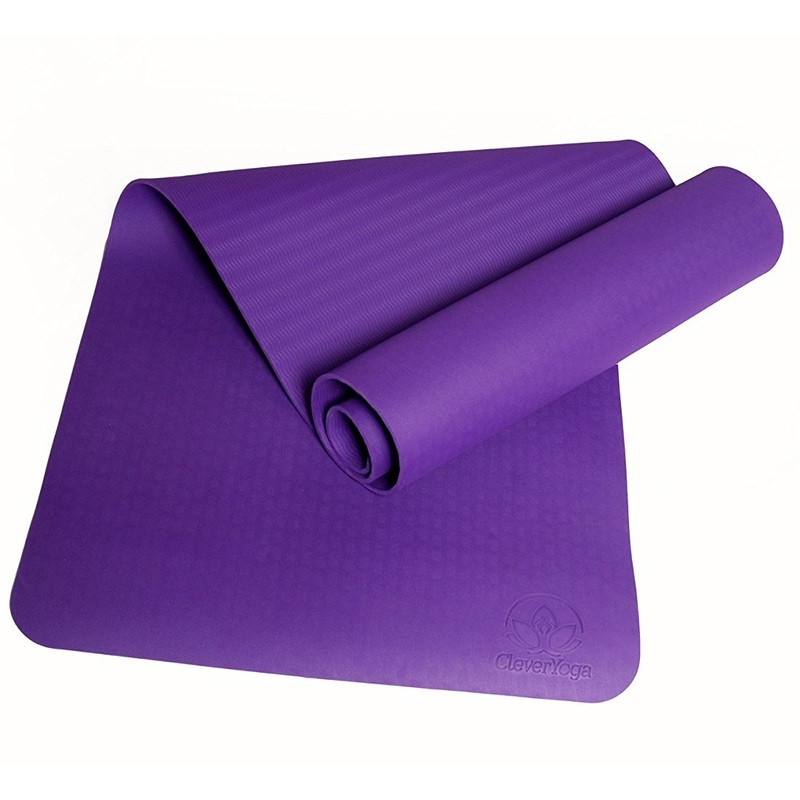 The mat is also free from PVC, phthalates, silicone, latex, and other toxic materials. Eco-friendly and safe for your body. 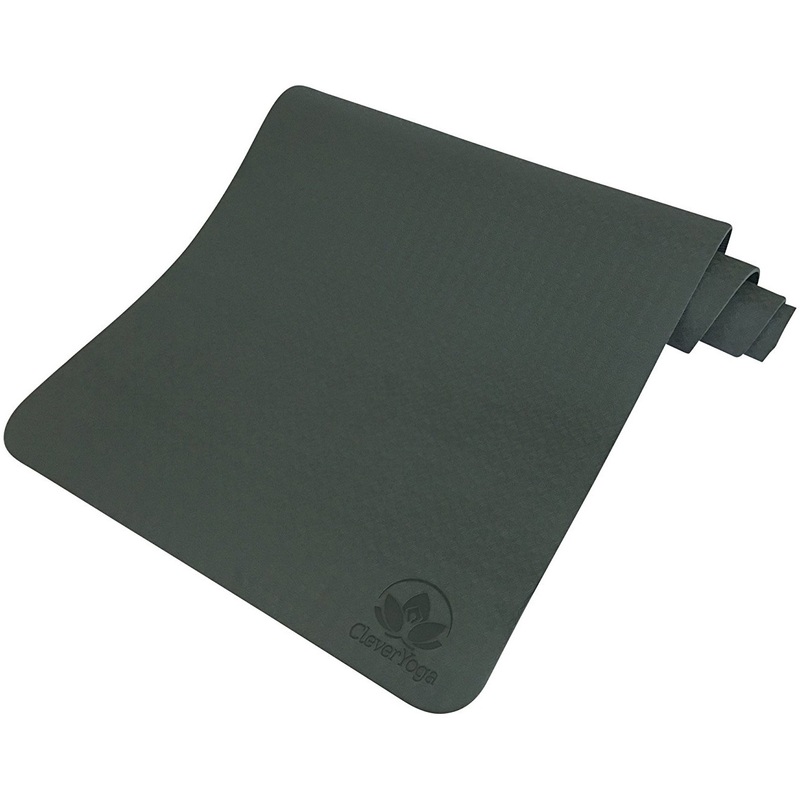 You will experience optimum grip on the mat’s non slip surface. Easier on the wallet too, because the mat is reversible. 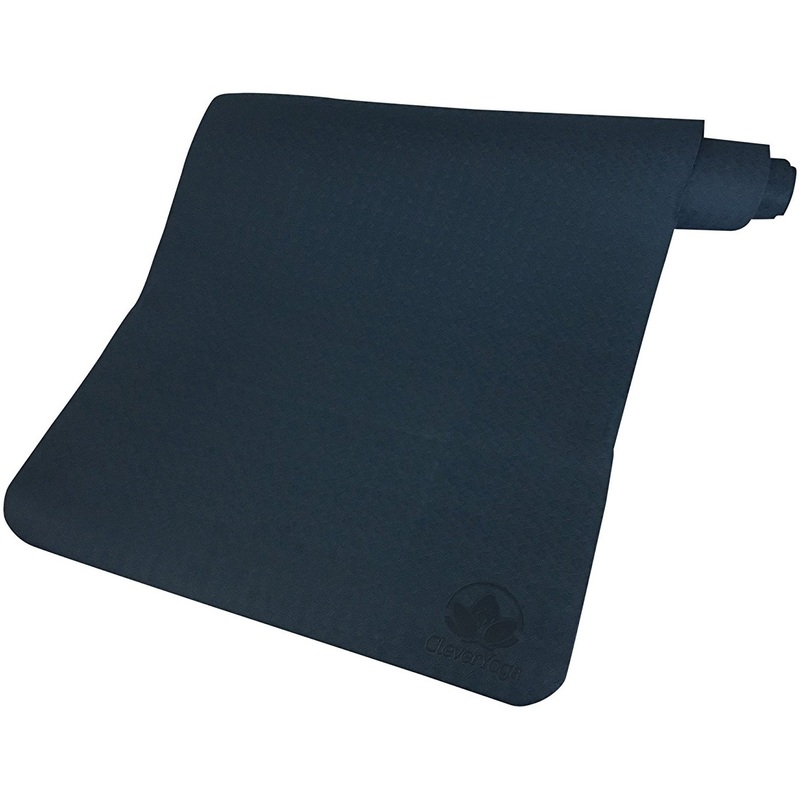 This is a multi-functional mat for yoga, Pilates, and health and fitness exercises. Its water proof surface and closed-cell construction prevents moisture and germs being absorbed into the mat. Therefore, this mat does not smell. Easy to clean, just wipe it down or wash with mild soap and water and let it air dry. You are protected by our special “Namaste warranty. If you are not 100% satisfied with your yoga mat, we will replace it free of charge or give you your money back.